Firm Overview Michelle Anne Benedek-Barone Esq. Michelle Ann Benedek-Barone was awarded a Juris Doctor in 1999 from Seton Hall University School of Law and a Bachelor of Arts Degree in 1996 from Drew University. In 2008, Ms. Benedek received a certificate from the Wharton School of Business in Mergers & Acquisitions. While attending the Wharton program, she studied negotiations under the renowned Stuart Diamond and performed complex business valuation analyses. In 2011, Ms. Benedek received her Master in Business Associations with a double concentration in Finance and Management. This degree has enabled Ms. Benedek to specialize in complex matrimonial litigation involving business evaluations and asset portfolios. Ms. Benedek is admitted to the New Jersey State Bar and New Jersey District Court Bar. She is a member of the New Jersey State Bar Association and the Morris County Bar Association. Ms. Benedek has been selected for inclusion in the New Jersey Super Lawyers* Rising Star in 2011 through 2014. Ms. Benedek was a law clerk to the Honorable Stephan J. Schaeffer from 1999-2000. Prior to joining Laufer Dalena Cadicina, Jensen & Boyd, she was an associate with Cutler, Simeone, Townsend, Tomaio, & Newmark and Haber & Silver, PC. 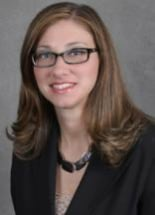 In addition to her legal accomplishments, Michelle Benedek volunteers throughout the community. Ms. Benedek was a member of the Morris County Domestic Violence Crisis Response Team and Lecture Series. She currently volunteers for Good Grief in Morristown.